As Is grade refers to a container that is sold in “as is” condition. The product is also sold within its current location. Our team here at Secure Container Solutions offers a full range of As Is storage products at affordable pricing. And many of the products sold within this category have only small imperfections that require very little maintenance. As Is containers are often great deals for the buyer the needs an affordable container on short notice. 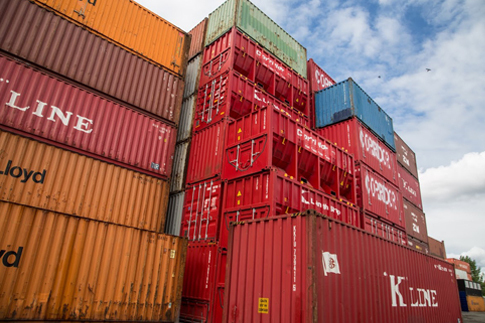 Our containers are also wind and watertight, as well as cargo worthy, meeting all the storage solutions you may have. Our 20ft shipping containers are popular with our clients who are restricted by physical drop-off space. Our 40ft shipping container units are matched with clients who need double the storage size for a small increase in price. Wind & Water Tight containers are designed for superior durability against challenging environmental conditions. They’re often referred to as “B Grade” within the marketplace. While perhaps not suitable for those seeking out aesthetic containers, our products are designed to meet the industry’s highest standards in terms of wind and water protection. 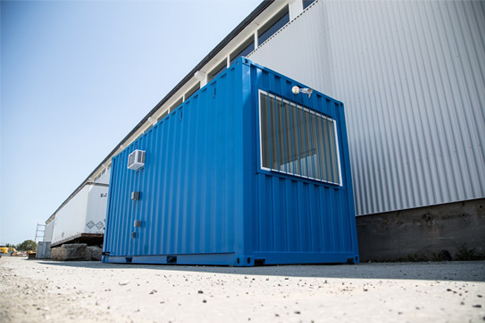 The high quality Wind & Water Tight containers from Secure Container Solutions are also available to you with a guarantee that they will be weather-resistant and in a condition for which minimal repairs are required. If you’re looking for a high performance used container solution that combines aesthetic and functional value, Cargo Worthy products are the leading choice. To be deemed “A Grade Cargo Worthy”, the container must meet highly specific industry criteria. For example, our Cargo Worthy products have functioning doors, solid door seals, and a solid floor that can support a forklift truck. Cargo worthy products must have also been inspected by a certified container inspector in the past year, and are wind & water tight. The team here at Secure Container Solutions has a comprehensive understanding on the storage marketplace. And this means we can not only help offer the best products available within the industry but can also help guide you in ensuring you make the right choice for your short-term and long-term storage requirements.